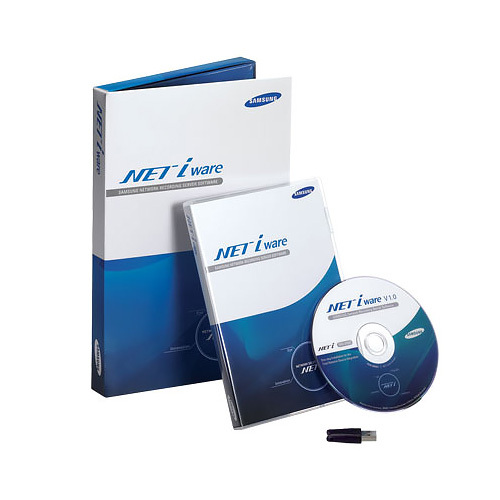 The Samsung SNS-SF064 Net-i ware Recording Software (64 Channels) records data from Samsung network cameras, and provides an open storage solution for security and automatic monitoring environments. It records real-time videos in H.264, MPEG-4 and MJPEG formats at resolutions up to 4 CIF@480 fps, and supports G.726, G.711, G.723, and PCM audio codecs. The triplex operation, allows recording, live video transfer, and recorded video transfer simultaneously. This software also provides continuous, event-based and schedule recording. The 64 Channels recording software features various log types such as system, user access, backup, recording, motion, alarm, video loss, and I/V. 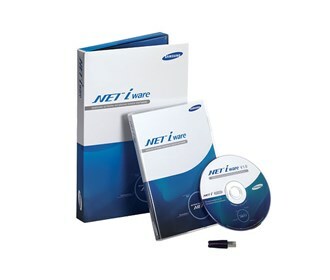 It also provides various backup options such as manual and schedule backup, CD, DVD backup and external storage. IP filtering restricts access to one or more user groups, ensuring secure access to the software. The Net-i ware software helps you search for videos by date, time, and event. It also allows for automatic search of network cameras for quick and easy configuration. The multi-lingual user interface makes access to various functions quick and easy. The Samsung SNS-SF064 has many exciting features for users of all types. The Samsung SNS-SF064 is sold as a Brand New Unopened Item.